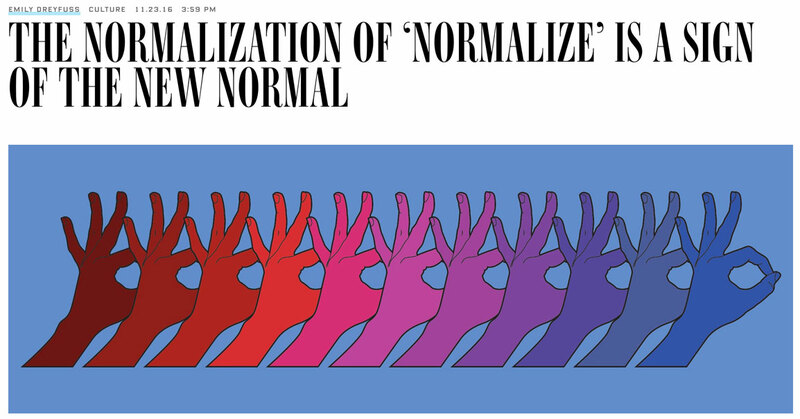 THE WORD “NORMALIZE” has become, well, normal. Long before Donald Trump became the president-elect, his detractors warned against “normalizing” his myriad violations of campaign decorum: the bigotry and misogyny, the Putin-philia and cavalier talk about nuclear weapons. Since Trump’s election two weeks ago, “don’t normalize this” has become a liberal mantra, a reminder to stay vigilant in the face of aberrant presidential behavior that Americans may feel tempted—or emotionally bludgeoned—into excusing as just the way the country works now. A 20-something meandering across a sprawling campus, playing Frisbee on the quad and eating in the dining hall: That’s the picture of a “college student” many of us have in our minds. But many of today’s undergraduates are 30-something and older. There is no campus quad and they’ve never eaten in the university’s dining hall. Strayer University, in collaboration with U.S. News’ Marketing and Business Intelligence teams, recently conducted a College Experience Survey, querying 1,000 adults about their past or present higher education experiences and attitudes. The goal was to help illuminate differences between the two groups — and shine a light on how colleges are increasingly pivoting to reach today’s student. Read more: The New Normal: How universities serve higher education students, now that nontraditional has become traditional. Speaking today, Indian finance Minister Arun Jaitley has opined that India will no longer see traditional cash numbers after the sweeping ban to render 86% of all cash in circulation obsolete, overnight, in early November. Instead, he sees the country moving toward a digital economy. Record global supplies of grains are getting bigger, and U.S. soybeans plantings will reach a record in 2017-18, according to USDA and United Nation estimates. And while some analysts predict the growing supply will tamp down commodity prices next year, hurting farmers’ earnings, others aren’t so sure that it will. U.S. farmers could plant a record 85.5 million acres of soybeans in 2017-18, 1.8 million acres more than in 2016-17, USDA forecasts in long-term projections published late last month. And for the next decade, soybean plantings won’t fall below 85 million acres, it predicts. 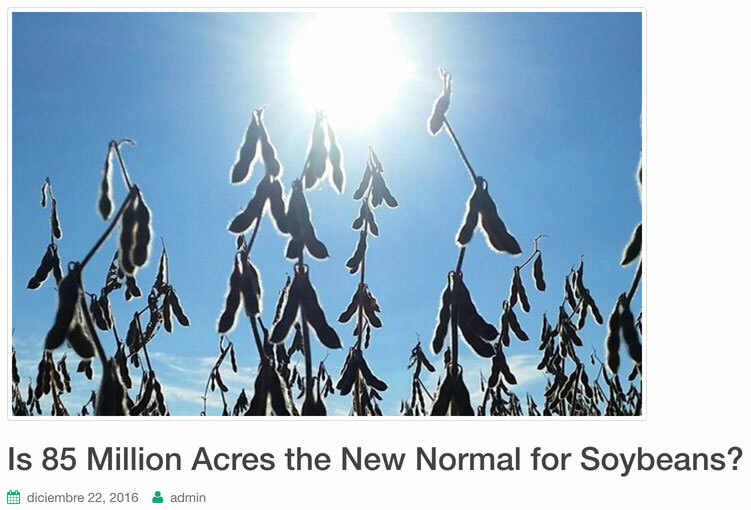 Read more: Is 85 Million Acres the New Normal for Soybeans? I watch the nightly news for the president-elect’s latest Cabinet choice, sigh, then turn my attention elsewhere, as if I were watching events in another country. The brutality visited on Aleppo in recent weeks has shown the world that Syrian President Bashar al-Assad has no scruples about killing his own people and destroying one of the world’s once-great cities. According to the United Nations, as Syrian forces closed in on eastern Aleppo, they executed dozens of civilians on sight, including women and children. Reports of men and boys being rounded up have families wondering what horrors await their loved ones. The 2015 Memorial Day floods hit the southwest Houston neighborhood of Meyerland particularly hard. Then, less than a year later, the neighborhood succumbed to another round of flooding. Many families had just completed repairs to their damaged homes when then rain came in April of 2016. Many residents felt hopeless after seeing all their repairs undone. Meyerland has a long history. The deed-restricted suburban community opened in 1955 with a ribbon-cutting ceremony by then-Vice President Richard Nixon. But now, many are questioning the area’s long term sustainability. And more broadly, across the region, Houstonians are asking: is constant flooding the new normal? A group of care professionals at Riverside County’s Hemet Clinic are taking an affirmative stand against the safety breaches that have hit an all-time high at the clinic. On Wednesday, December 21st, the Riverside County employees held a “Safety Check” in front of the clinic to air their safety concerns and fears. Large law firms in New York are increasingly seeking to collect unpaid fees from clients by filing suit or seeking arbitration, an analysis of court filings in New York suggests. The New York Law Journal (sub. req.) checked filings in Manhattan and Brooklyn and found at least a dozen lawsuits this year in which large firms sued to collect fees, or former clients sued to stop arbitration over unpaid fees. Read more: Top law firms increasingly go to court to collect fees; is it the new normal? The climate situation is not looking good—and that’s an understatement. According to The Guardian, 2016 will be the hottest year on record, and it’s the third consecutive year that has set a new record for the highest temperatures yet. If that fact alone doesn’t compel you to want to get involved with change, on a palpable level, perhaps a president-elect who supposedly doesn’t ‘believe in’ climate change will give you pause. If the powers that be in the United States aren’t reliable, in terms of taking action to prevent additional damage to the warming climate, perhaps private home owners, architects, and companies can shoulder some of the responsibility of helping to minimize non-renewable energy use. Read more: Is Green Building Becoming the New Normal? A Jewish family in Lancaster Pennsylvania has fled their home after Breitbart falsely accused them for the cancellation of a performance of a Christmas Carol at the local school. School officials stated that the play was cancelled for scheduling reasons as it took 20 hours to rehearse during school hours. Coincidently, the Jewish family had asked for their child to be excused from participating in the play several months ago. After the cancellation, the family was blamed and the child was being harassed at school. When Breitbart, in true form, published a story fabricating the reason was the Jewish family, you can imagine the result, so the family fled their home town. Welcome to the world of Cheeto Jesus and his “news” arm, Breitbart. The assassination of Russia’s ambassador to Turkey should shock or surprise no one. It was inevitable, as are many more such terrorist acts against Russia. Call Russia’s involvement in Syria a geopolitically motivated intervention or call it a war crime. From the point of view of many Syrians, most anti-Assad rebels, the so-called Islamic State and many radical Muslims the world over, Russia’s bombardment of Aleppo and other cities is a criminal assault against all Muslims and Islam. We may disagree. And Putin certainly disagrees. But just as he believes he is entitled ruthlessly to pursue Russia’s interests, so, too, his opponents believe they are entitled to pursue theirs — no less ruthlessly. Reflecting on the evolution of the modern day supply chain, both in my engagement with customers and through my own experience as a consumer, I am struck by the obvious. Virtually every dimension of the extended supply chain can be characterized by faster and faster business processes. This starts with research and development where a great majority of industries are now competing through more frequent product introductions, shorter product lifecycles and, in many cases, individualized products. Macro-economic instability fuelled by low oil prices and global economic sentiment will continue to be the main driver of business risks across West Africa in 2017. Governance improvements and the embedding of certain democratic practices and norms will limit the scope of potential for deterioration, but challenges will still persist. Read more: 2016: the new normal? Paper has been around for a long time and it is the basis for almost all the industry’s existing systems. Therefore, many people question whether altering those systems can result in real efficiency gains. The promise of paperless processes has rung hollow for nearly two decades, especially in field-based industries. 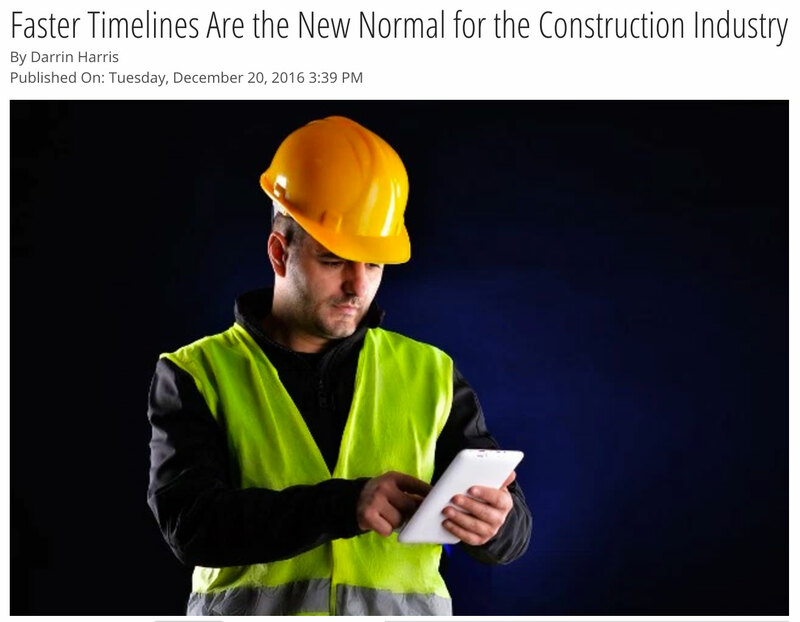 But digital technologies are now providing solutions that meet the rapid pace of change in the construction industry and the demand for accurate data in real time. The value proposition for a review site is simple as it enables almost anyone to offer a public review and rating of a business. It allows users to give both good and bad reviews of businesses – and gives consumers the opportunity to make an informed purchase decision. 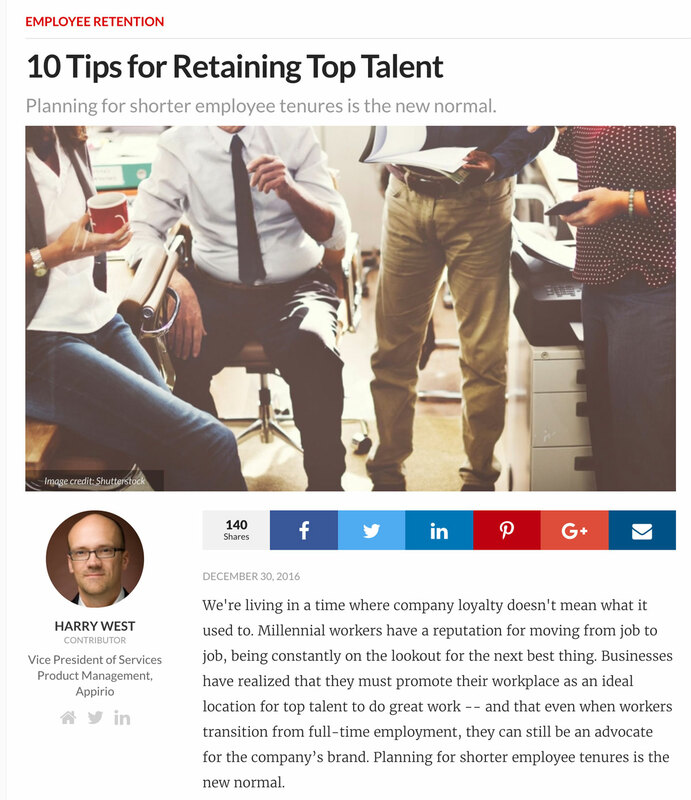 This new reality can be a challenge for businesses, however. Consumers have enjoyed yet another year of falling prices and bargains as the new normal, but their good fortune has seen retailers suffer their toughest year, according to experts.